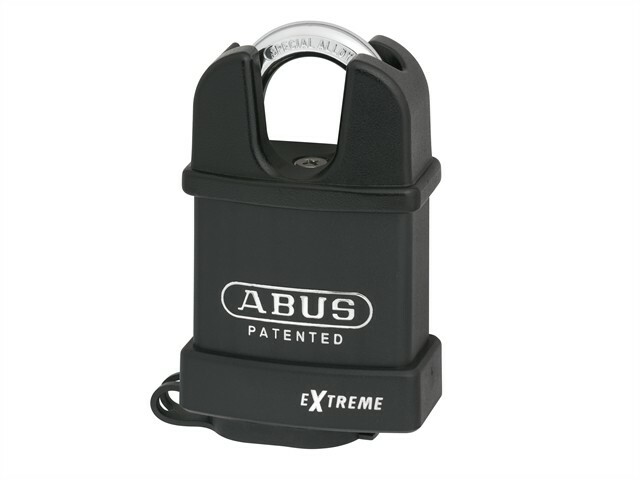 The ABUS 83WP Series Weatherproof Padlocks have a shackle and body made of hardened steel with NANO PROCTECT™ coating for increased corrosion resistance. Fitted with a durable weather cover that has drainage channels to protect the cylinder against water and dirt. Fitted with a 6-pin tumbler cylinder that features anti-pick mushroom pins, rust-free components and a patented pinning window. The padlock is fitted with a patented 'Z-Bar', can be adjusted to operate key retaining or non-key retaining, automatic locking or key to lock. Can be made to sample key or master-keyed on request.